This article is in continuation to earlier article where we published the pictures of 1-5 avatars of Vishnu. Details of next 6 avatars are found as following. Parshurama was the son of sage Jamdagni and Renuka. He has killed evil doers kings of the earth. 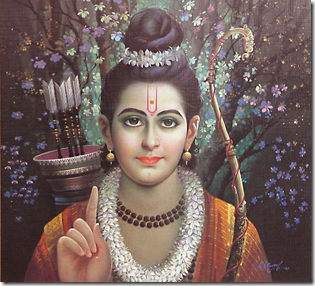 A great archer, was the teacher (guru) of Bhishma, Drona and Karna. 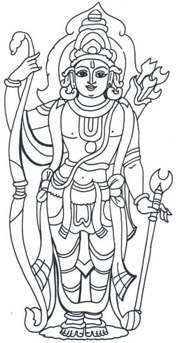 He is one of the seven immortal ones (saptachiranjiva). 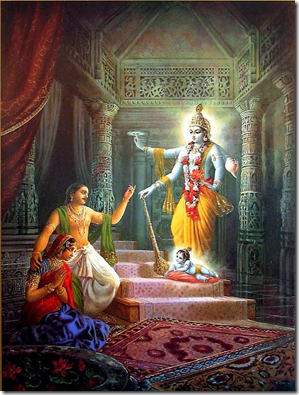 Rama was born as a son of Dashrath and Kaushalya. He slayed the demon king Ravana of Lanka. Assisted by Hanuman and Lakshman ( Sheshnaag’s avatar). 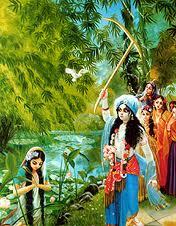 This incarnation was the central character of Mahabharat. Mahabharat was the conflict of kuru brothers, Kauravas and Pandavas. He did not fight the war himself. 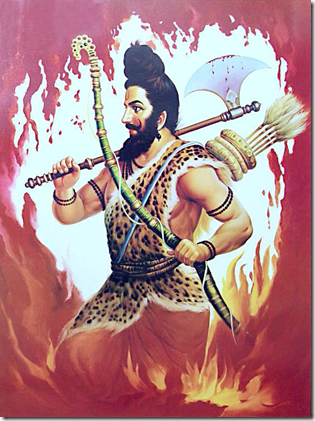 He was the charioteer of great archer, Arjuna in the Mahabharat war. In his early life, he killed Kansa. 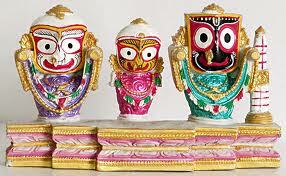 His brother was Balrama and he is also believed to be a avatar of Lord Vishnu by some texts. 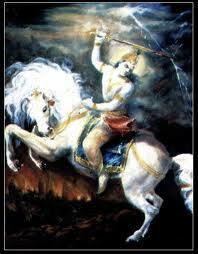 In the Puranic texts, he is mentioned as one of the ten avatars of Vishnu, usually as the ninth one. 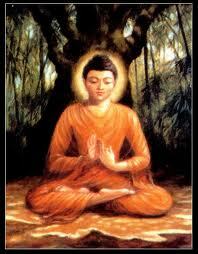 Siddhartha was born in a royal Hindu Kshatriya family. Gautama was famously seated under a pipal tree—now known as the Bodhi tree—in Bodh Gaya, India, when he vowed never to arise until he had found the truth. His companions believed that he had abandoned his search and become undisciplined, left. After a reputed 49 days of meditation, at the age of 35, he is said to have attained enlightenment. The tenth and last avatar, Kalki avatar, is supposed to happen in future, in Kaliyug. This will be the tenth and final Maha Avatar (great incarnation) of Vishnu who will bring to an end the present age of darkness and destruction known as Kali Yuga. He will establish a new era based on truth, righteousness, humanism and goodness, called Satya Yuga. eagerly waiting for kali awatar. This is to the mythology what a pail of water is to the ocean. Mythology is history clouded and obscured by time. Before it was myth, it was legend. Before it was legend, it was history. Before it was history, it was news. The mythology has been primarily lost. The genealogies in the last Upanishad(I believe) was the key to the mythological story. Ironically, the very same mythological story is the basis for such classic tales as King Arthur, Robin Hood, Lord of the Rings, Carnivale, Star Wars, the Jewish mythology of the twelve tribes and the bible. The bible was taken from the Jewish tenets, which were taken from the Vedas of Advaita Vedanta. The most comprehensive explanation of the basis of the mythology is actually found online as the "mythology of Carnivale". The creator of the series has not revealed anything more than an obtuse statement regarding how he came up with the story. This mythology is one of the reasons that Shiva is sometimes known by the moniker of " Rudra". They are in fact two different individuals but are direct counterparts in the mythology. This is directly correlated to the story of Star wars, in the fact that darth vadar is the direct counterpart to Obie won kanobe. They are the yin to the yang. Light to dark. Shiva is not Rudra. They are opposites. Its quite amazing to know that these predictions of the current Kali yuga was made some 5000 years ago. These predictions are a perfect example of the presence of a supreme power. 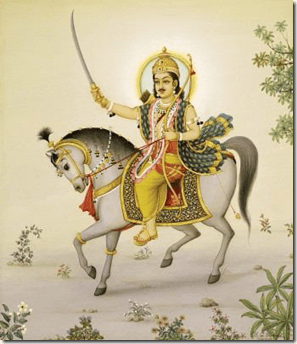 Read about the legend of God Kalki, the 10th Avatar of Vishnu from this article. Buddha alvar is manipulations of texts. .. it was originally lord ayappa avtar.. I dispute the Avatar of Budha .Firstly,for every Avtar of Vishnu there is a motive.What is the motive for Budha?To kill whom?Asura or Man?Also there is temple and worship for all the Avtar of Vishnu.Budha is not worshipped by Hindus in any temple in idol or in photo at home.